Sue Millson, the KC Breed Health Coordinator for Hungarian Vizslas, is organising another breed health survey. The survey will provide valuable information on the current health status of our breed as well as allowing comparison between this survey and the last breed survey conducted 11 years ago. It is important that as many vizsla owners as possible take part, to give as true a picture as possible of the health status of our breed. 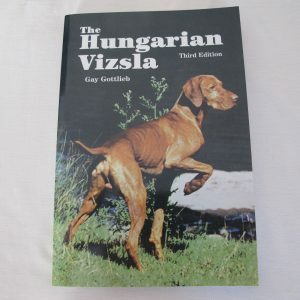 It is just as immportant for owners of healthy vizslas to complete a survey form. This ensures that the cnclusions drawn from the surevey are as accurate as possible, and reflect the population as a whole. All vizsla owners are asked to complete a health survey form for each vizsla, which can either be accessed as a word document for typing up and emailing, or as a pdf for printing and posting. Sue will be happy to answer any questions you may have about the survey and to provide guidance on completing the forms. Your participation will be greatly appreciated. Please Note: this is a KC breed health survey and is independent of either the Hungarian Vizsla Club or the Hungarian Vizsla Society. You do not need to be a member of either organisation to participate. The Club is simply providing an email address for the survey, as Sue was concerned that her email system would not be able to cope with a large number of forms. It was important to avoid this, as Sue is also a welfare officer for Hungarian Vizslas and needs to be reachable at all times. Confidentiality of the survey forms will be maintained at all times.